It’s sometimes helpful to see not only the metadata for .NET and WPF classes, but to actually step through the source code in the debugger to see how things are working. First, close any open solutions. 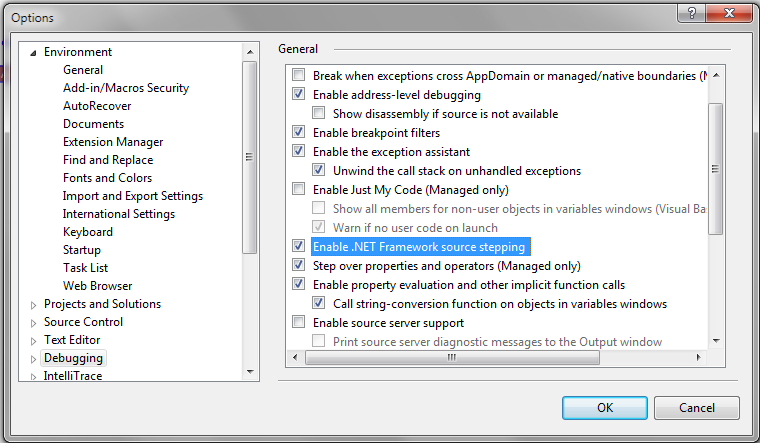 Then, under Tools | Options, select Debugging | General and check the option Enable .NET Framework source stepping. Also check the Enable Source Server Support checkbox. Next, select Debugging | Symbols in the list at left. 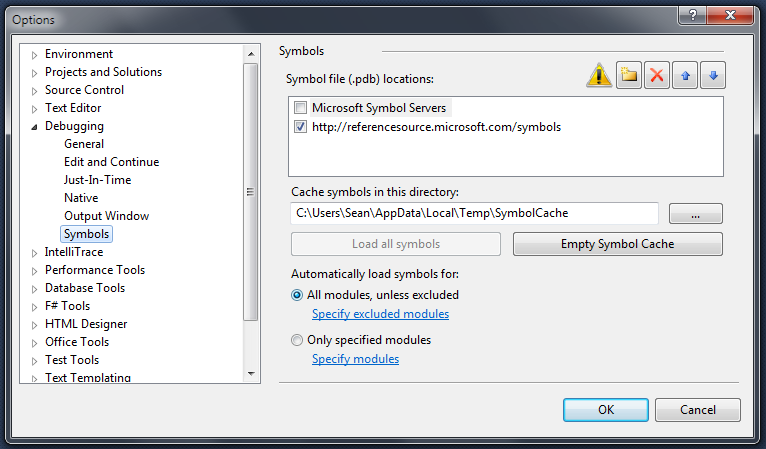 Unselect Microsoft Symbol Servers, if it’s checked. Click on the add button and enter http://referencesource.microsoft.com/symbols. Then click on the Empty Symbol Cache button. When you start debugging, you’ll see a message indicating that symbols are being downloaded. This may take some time. 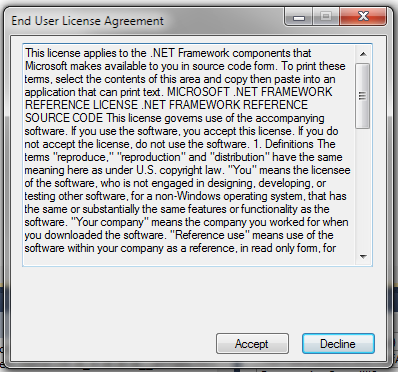 When you first try stepping into a .NET Framework method, you’ll see a EULA. 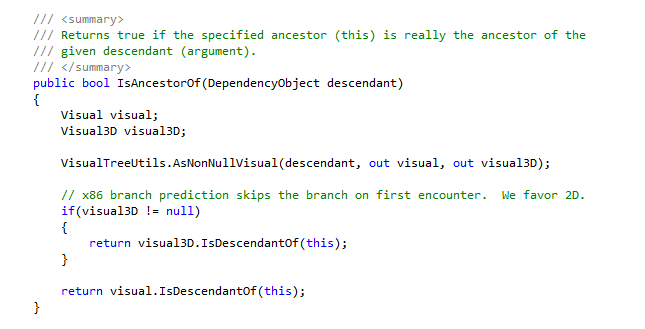 But then you’ll find yourself looking at .NET source code. Voila! Hi Sean, now i want to reset my toolbox, as it was earlier, could you help me..
Hi. Are you talking about resetting which items appear in the toolbox? You can do that by right-clicking anywhere in the toolbox and selecting “Reset Toolbox”. If you hid the Toolbox and want to show it again, go to the View menu and select Toolbox. If you want to reset where the Toolbox window appears, you can go to the Window menu and select Reset Window Layout. Now i want to reset my tool box. I did these steps but none work. 3. right click on toolbox, then add new item then click Reset button. 4. deleted 4 files from this location(toolbox.tbd, toolbox_reset.tbd, toolboxIndex.tbd, ToolboxIndex_Reset.tbd). It sounds like maybe you deleted some files that you shouldn’t have deleted. I would uninstall and reinstall Visual Studio.